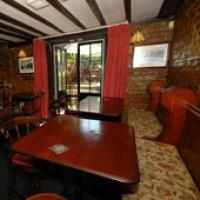 Our cellar bar is a lovely cosy place to enjoy a drink with friends or to 'do lunch'. Whether you want to sit at the bar or at one of our tables near the fire, you'll find a relaxing, smoke-free environment. We have a superb range of real ales, Czech Budweiser Budvar lager, Licher Weizen wheat beer from Germany, local and West Country ciders, wines, single malt whiskies, soft drinks and much more. 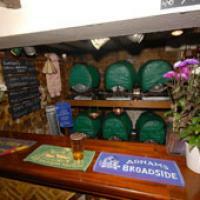 See our Real Ales page to find out more about how Blakes of Dover won the local Camra Pub of the Year 2006 award. Now Open 11.00a.m. to 11.00p.m. Mon-Sat and noon-10.00p.m. on Sundays. 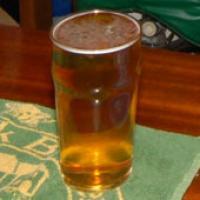 We take great pride in offering you superbly-kept real ales from traditional breweries. 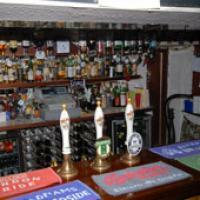 Come back soon for more details on our range of real ales and why Blakes of Dover was awarded local Camra Pub of the Year 2006. 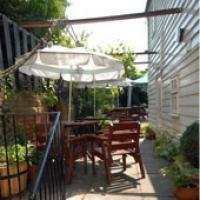 Enjoy a drink or a bite of lunch in the sunshine in our patio garden, a lovely secluded spot to sample our selection of fine real ales, wines and spirits in the summer. 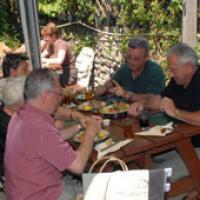 Access to the patio garden is through the cellar bar and it's a great place to socialise in the fresh sea air of Dover.